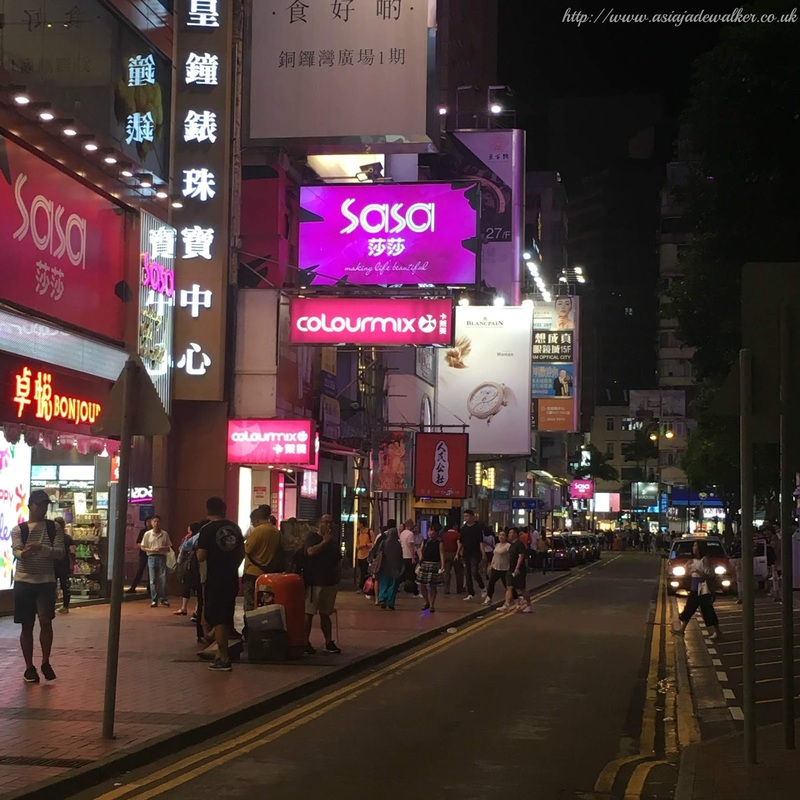 Today’s blog post is the first day of my Hong Kong adventure. I thought that I would do these blog posts as a combination of a blog post as well as the vlog that goes alongside it. If you don’t already know which I am sure you probably do as I haven’t stopped talking about it I went to Hong Kong for a week. The main reason I went was to see one of my best friends who lives out there but also because it was my 22nd birthday as well. I flew out on the 25th May which was a Friday. Luckily my flight wasn’t until 9.55pm which meant that I had the whole day to get things fully read before I leave. Mum and I left home around 6pm as it takes around 45 minutes to an hour to get to Heathrow from where I live. As soon as we got there I checked in which all went smoothly. We then sat down for a quick drink before I went through security. 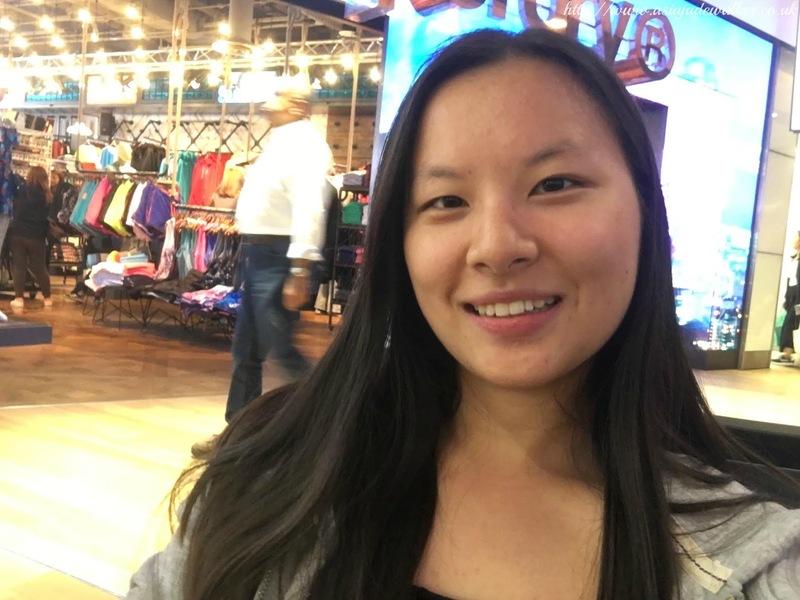 I then wandered around the terminal which was terminal 3 and to my surprise had a lot of high-end brands such as Chanel, Louis Vuitton etc…Of course, I didn’t buy anything from them because I can’t quite afford anything from there just yet. Instead, I headed to WhSmiths to get a magazine, drink, and snacks for the plane. Luckily I didn’t have to hang around for a long time as my flight boarded around 9pm in order for it to leave on time. Of course, my gate was the furthest one away which I had expected because only I would be made to walk so far just to get to my gate. As soon as I got to my gate we walked straight onto the plane which was great as it meant that I didn’t have to hang around for a long time at the gate either. My flight was around 11 hours and 50 minutes in total which is very long if you have never been on a long haul flight before. The last time I went on a long-haul flight was when I went to South Africa which was around 12 hours long as well. 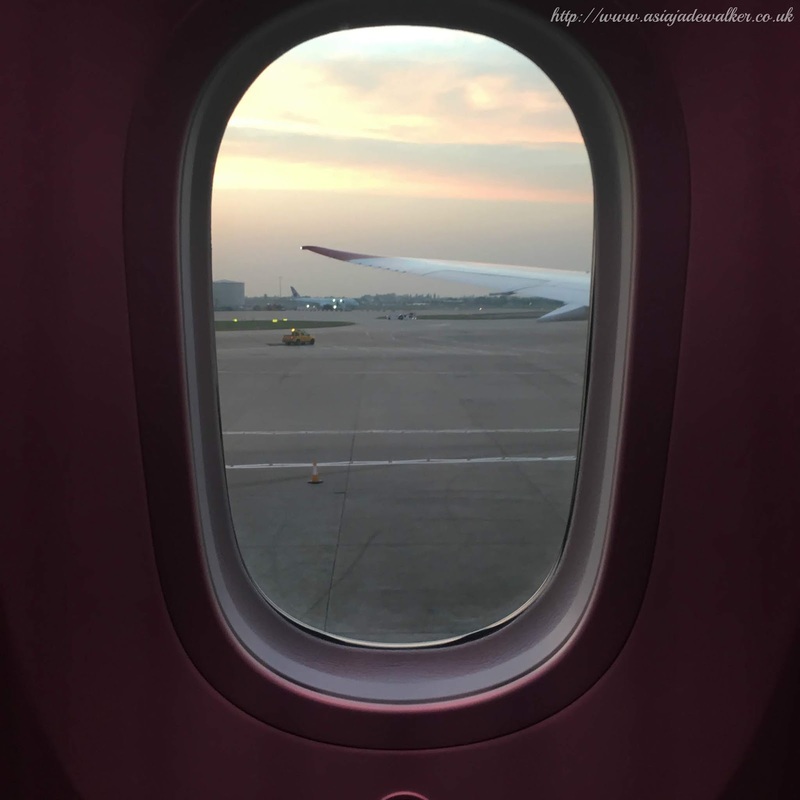 I flew with Virgin who I flew with for my other long-haul flight. You always get two meals on a long haul flight as well as tons of entertainment to watch. I ended up watching Coco which was amazing and The Greatest Showman again as just can’t get enough of that movie. I arrived in Hong Kong at about 5pm in the afternoon on the 26th of May. I then took a shuttle from the airport to my hotel which only cost me 150 Hong Kong Dollars which is around £15. The hotel that I was staying at was called The City Garden Hotel Hong Kong. I would say that it was similar to a Premier Inn that we have here in the UK. The hotel was perfect for what I wanted it for which was somewhere to keep my things, sleep and have a shower. It was the lowest priced hotel on the Virgin holidays website and I could have picked a fancier one, however, I would only be using the room to sleep so I didn’t see the point. 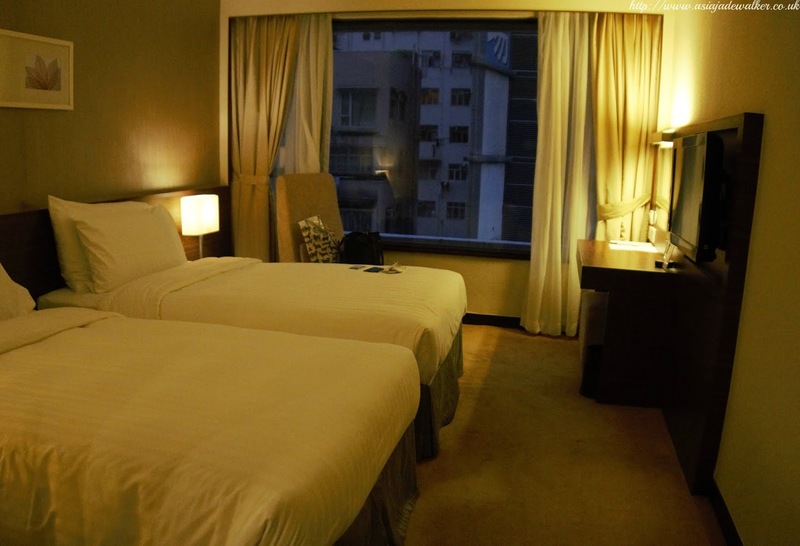 The hotel was located near the Fortress Hill station which is on Hong Kong island. I found it really easy to travel around from my hotel as it was really central and close to other tube lines. I only paid for the room and not breakfast as I really wanted to go out every day and have a traditional breakfast out instead of having a continental breakfast in the hotel. I was really pleased with the hotel room, the staff and the hotel in general. It was perfect for what I wanted it for and the staff were all really lovely and helpful. You can see a hotel room tour over on my YouTube channel which I have linked below. After arriving at the hotel I unpacked as I had only packed a few clothes. I then sorted out my small backpack and madesure that I had all of the things that I would need. I made sure to put all of my important documents etc..into the safe. I then headed out by myself to Causaway Bay which was only a few stops from my hotel. Causaway Bay is where lots of shops and restaurants are it’s very similar to Oxford Circus although the shops are not all on one straight road. I headed there as I was waiting for my friend who is an air hostess and was due to land around 8pm. I spent an hour or so wandering the area before I sat down in a Starbucks and waited for her to arrive. We then headed out for some noodles which I had suggested as I had heard that the noodles were amazing in Hong Kong (I can confirm that they are). 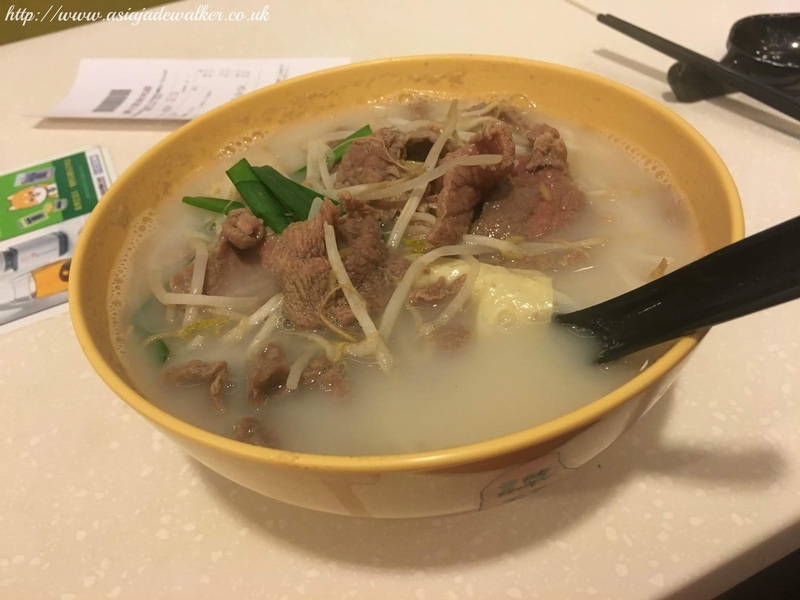 I had a beef noodle dish which was beef, noodles and a few vegetables in a broth. It was really delicious and a great way to kick off my Hong Kong adventure. We then headed our separate ways as it was quite late by this time and we were both tired. 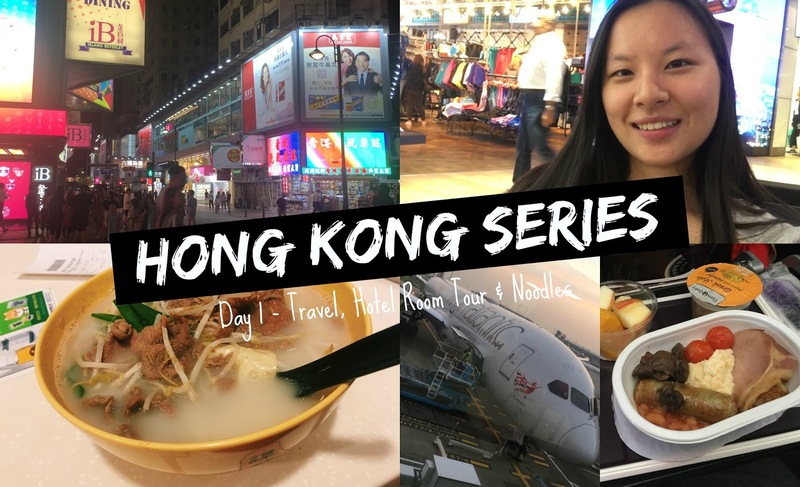 "Hong Kong 2018 Day 2 + VLOG"